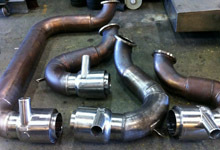 Watson Marine can fabricate just about any S/S exhaust system imaginable. 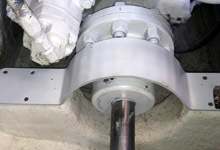 Using only the highest quality Inconnel Mixers imported from the USA, our exhaust systems are sure to outlast any other. 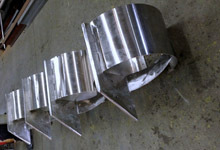 We also have the ability to fabricate our own stainless steel mixers should time be a factor. 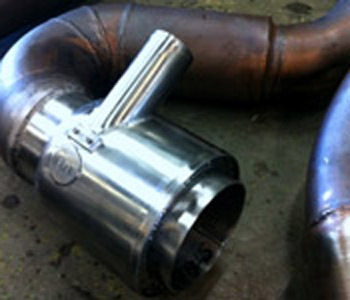 We can apply lagging tape to our exhaust systems or have custom made exhaust covers manufactured. 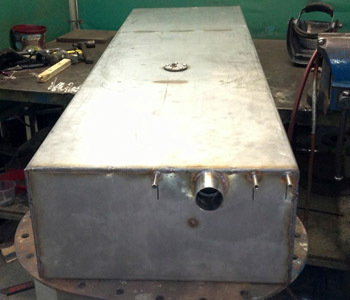 Watson Marine can fabricate S/S water & fuel tanks. 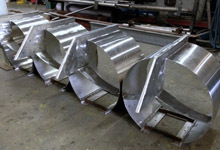 These S/S stern drive prop guards were designed & fabricated by Watson Marine for a vessel going over to operate in PNG waters. 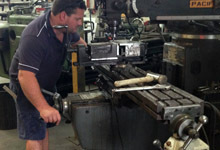 Watson Marine can fabricate round S/S bollards of any size. 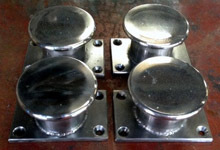 These robust & skillfully designed bollards have no sharp edges or catch hazards, making them exceptionally user friendly. 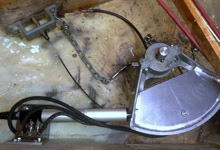 They not only work great but look great too. 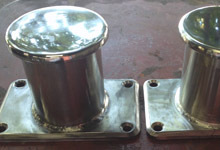 Watson Marine can fabricate brackets from stainless steel, mild steel or aluminum for the mounting of pumps, axillaries or auto pilot systems. 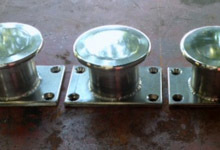 We can customize any bracket to suit the space & application. 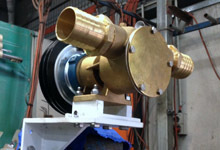 Watson Marine can supply, fit & plumb in Jabsco or Johnson pumps to suit any survey or vessel requirements. 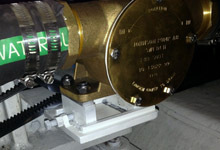 Some specific survey classes require vessels to have covers fitted over the gearbox & shaft couplings. 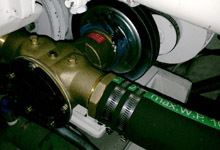 Watson Marine can fabricate & fit custom coupling covers to suit any vessel.